This season, we take inspiration from the opulent yet demanding world of ballet, from the sparkle of delicate costumes to the grace and elegance of ballet dancers. The elaborate embellishments and dazzling sparkle are inspired by the opulent chandeliers, like those suspended in the Aspinal of London stores. 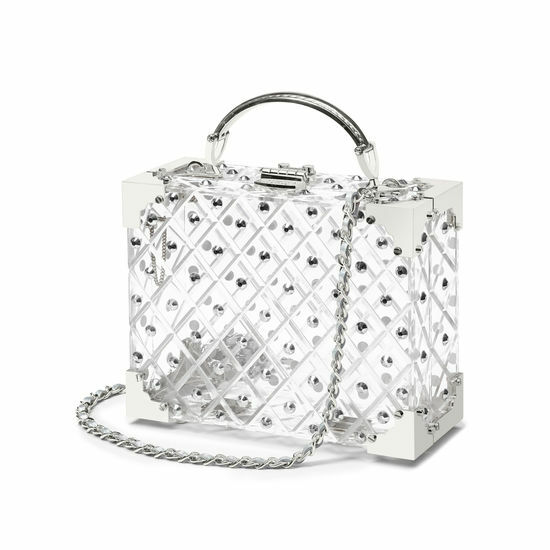 Encapsulating distinctive elements from the decade of Swing and Fifties glamour, our Crystal Mini Trunk is guaranteed to delight. 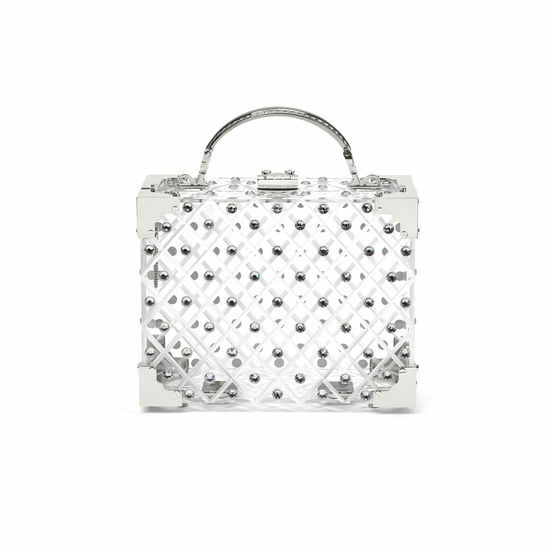 Inspired by vintage luggage, our Mini Trunk Clutch has been given a luxurious update with a diamond cut design and delicate embellishment. 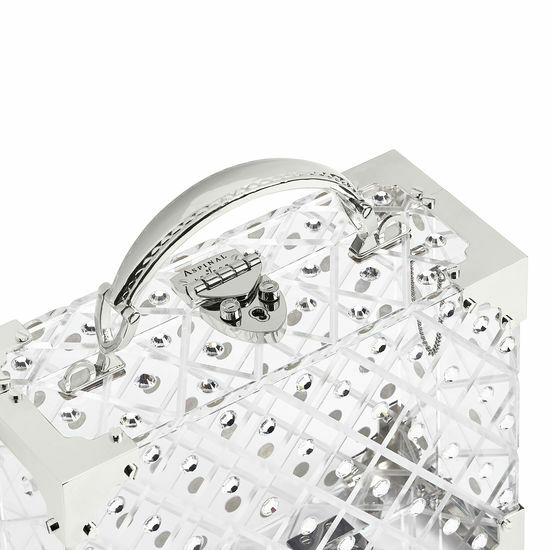 The shimmering crystal decoration makes it the perfect partner for formal evenings out. 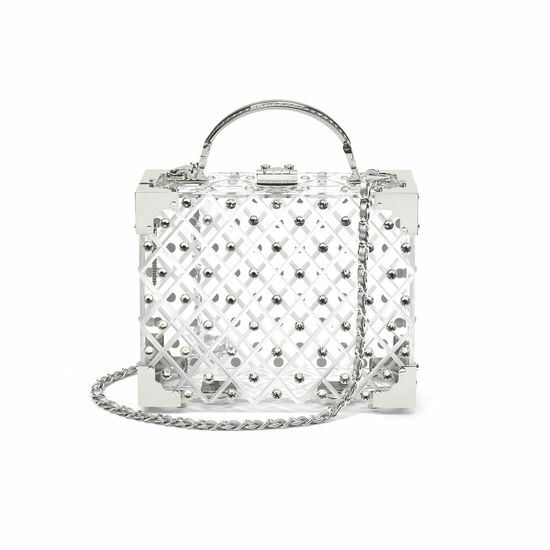 The eye-catching piece is hand-crafted from transparent acrylic and is finished with solid brass hardware in silver. 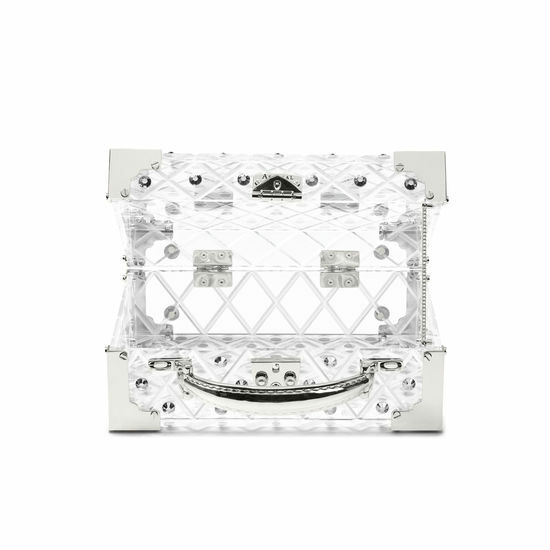 Open the signature Aspinal shield lock clasp to reveal a transparent interior that will leave little to the imagination. Carry it using the single top handle or use the detachable leather plaited silver chain strap and go hands free. Choose from our extensive range of small purses, zip pouches and handbag tidy-all's to discreetly store and organise your essentials. SG$78.75 will be added to your total purchase price at checkout. This will subsidise tax, duty, credit card fees, insurance in transit and handling.